Never miss a Simi Deal. Email me the deal each day. Issue: If a vendor featured on Simi Deals goes out of business after the promotion value expiration date, Simi Deals certificates purchased for that vendors products or services will likely have zero unless a court offers a remedy for debtors as part of a bankruptcy proceeding. As noted above, Simi Deals does not issue refunds or credits for unused or partially used certificates when a vendor goes out of business after the promotion value expiration date. Color Me Mine in Thousand Oaks! 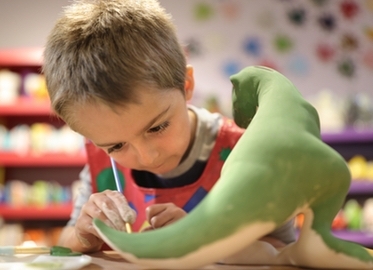 Get $30 Worth of Pottery and Painting Time for $15 or $40 for $20. Great Family Activity! Fun for children and adults! Pottery glazed, fired, and ready for pick-up in one week (7 days)! Today’s “color”ful deal is a MASTERPIECE! Get $30 worth of studio time and pottery for $15 or $40 worth of studio time and pottery for just $20 at Color Me Mine in Thousand Oaks! What we love about Color Me Mine is that they have all sorts of ceramics to choose from. So if you just want to make an item for yourself, or a gift for a birthday, Valentine’s Day, Mother’s Day, or Father’s Day, they have that perfect something! SimiDeals.com ©2011-2014. All rights reserved.